The Ashford Toilet Frame is height adjustable, offering the flexibility to suit the needs of most clients. This discreet and effective bottom wiper helps to maintain personal hygiene for those who find reaching difficult, offering greater independence and cleanliness. With a soft grip handle and simple push button mechanism to easily hold tissue paper or moist wipes and release them after use. The product isn’t available to purchase online, please visit your local store to have a demo. 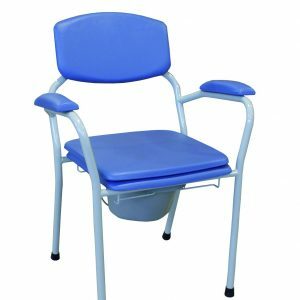 The Pembury Height Adjustable Corner Shower Stool features fine leg adjustment to maximise stability and safety, and a clip-on/clip-off seat for easy cleaning.